The peninsula of Kamchatka is a unique mountainous region in Russia. Ecologically pure wildlife attracts more and more tourists, despite the remoteness and inaccessibility of these places. You can get here only by air or by sea. 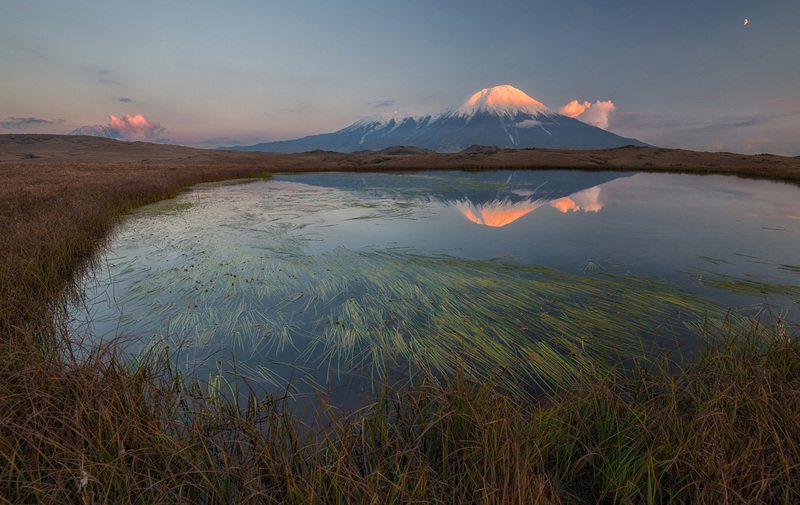 About one-third of the Kamchatka territory is occupied by specially protected natural sites (reserves, natural parks and monuments). Photos by: Slava Stepanov. Serguei Fomine, a photographer from Russia, began his project “Russia From Above” in 2003. The project is an artistic photo shoot of the most visually attractive natural, historical and architectural sites located on the territory of the country. 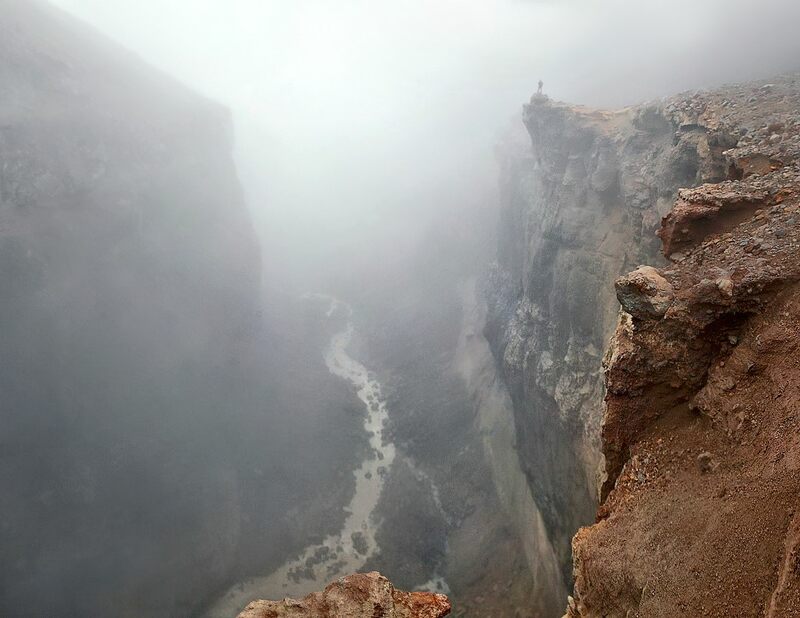 A lot of his photos are unique because these hard to reach places have never been photographed before. Let’s take a look at some of these photos. Acid lake in the crater of Maliy Semyachik volcano on the Kamchatka Peninsula. Kamchatka, a peninsula stretching from north to south for 1,200 km, is located in the north-eastern part of Eurasia, in Russia. 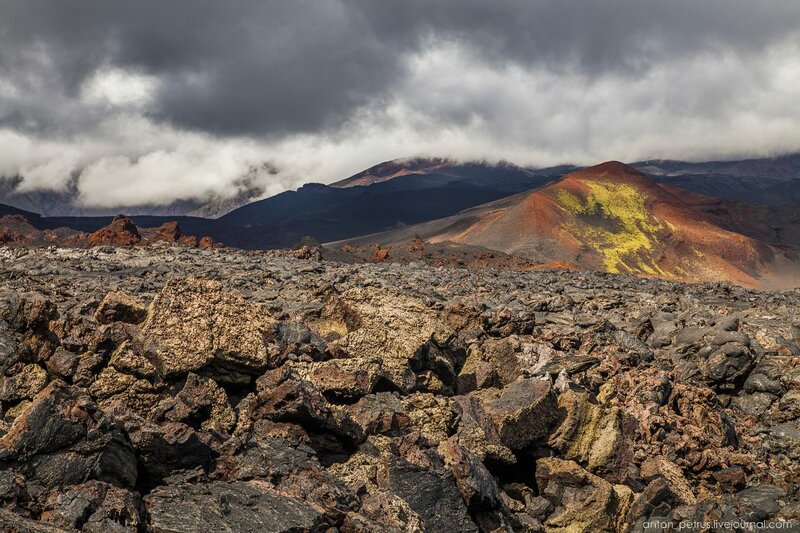 This is one of the most beautiful regions in the country known mainly for its volcanoes. One of the interesting places can be found at a distance of one-day walk from Pauzhetka village, on the outer slope of Koshelev volcano. The water in the local rivers and waterfalls has a distinct white color due to the concentrated alumina. Photos by: lusika33. 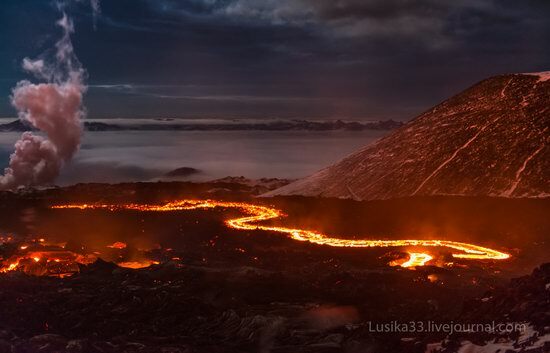 Tolbachik is a volcanic massif located in the east of Kamchatka. It consists of two major volcanoes – Ostry Tolbachik (extinct) (3,682 m) and Plosky Tolbachik (active) (3,140 m). Around them there are dozens of smaller ridges and cones. The lava fields of Tolbachik, a huge river of lava emerged only a few years ago, look like landscapes of Mordor. Tolbachik on Google Maps. Photos by: Anton Petrus. 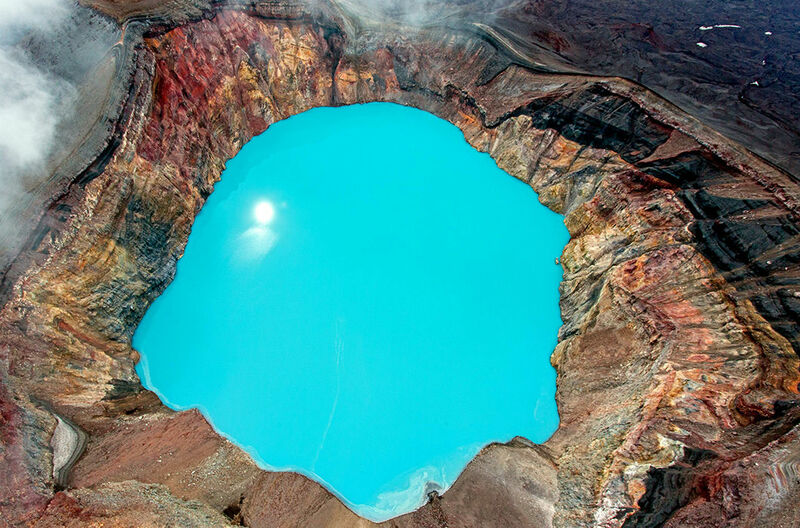 Kamchatka, a peninsula located in the Far East of Russia, is a wonderful region where nature is preserved in its original form. Here you can watch the bears, sea lions, killer whales, and many other animals in their natural habitat. 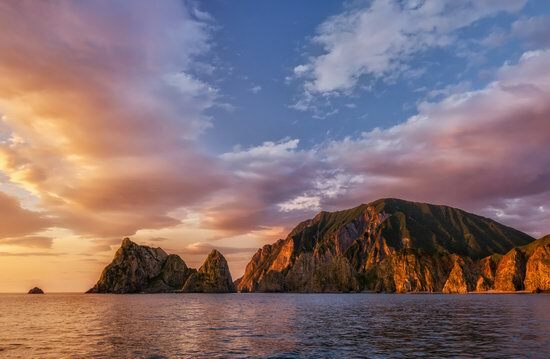 Let’s go for a ride on a boat along the eastern coast of Kamchatka and see for yourself! Photos by: Andrey Grachev. 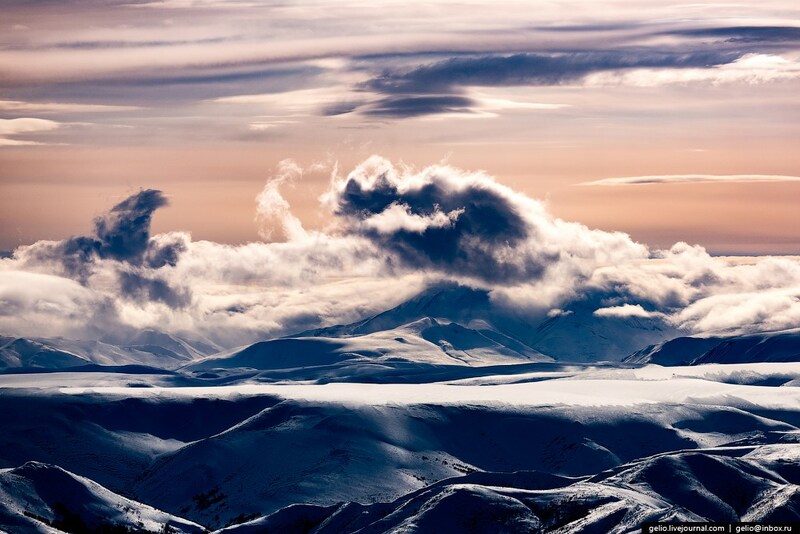 Kamchatka, a peninsula in Russia, is located in the north-eastern part of Eurasia. The peninsula, stretching from north to south for 1,200 km, is washed by the Sea of Okhotsk in the west, the Bering Sea and the Pacific Ocean in the east. 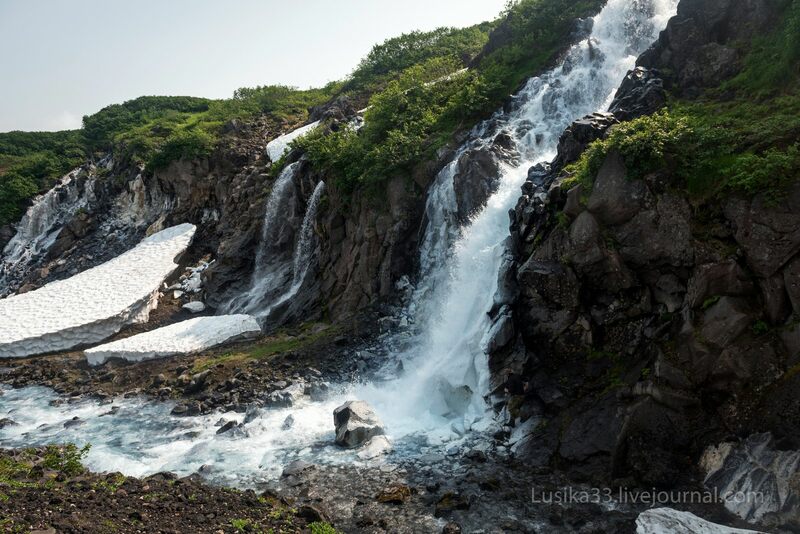 A large part of the territory of the Kamchatka peninsula belongs to the protected areas (natural reserves). 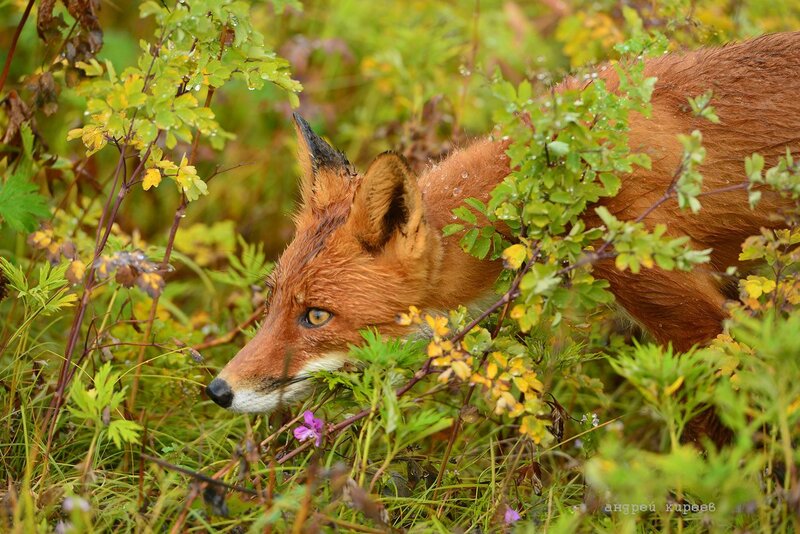 The most photogenic representatives of the local wildlife are bears and foxes. Take a look for yourself! Photos by: Andrei Kireev. Tolbachik is a volcanic massif with a height of over 3,000 meters located in the east of Kamchatka, in the southwestern part of the Klyuchevskoy volcano group. Five settlements with a total population of about 8 thousand people are situated at distances of 50-68 km from the foot of the volcano. The distance to Petropavlovsk-Kamchatsky, the capital of the region, is 343 km. Let’s look at the last volcanic eruption of Tolbachik that occurred in 2012-2013. Tolbachik on Google Maps. Photos by: lusika33. 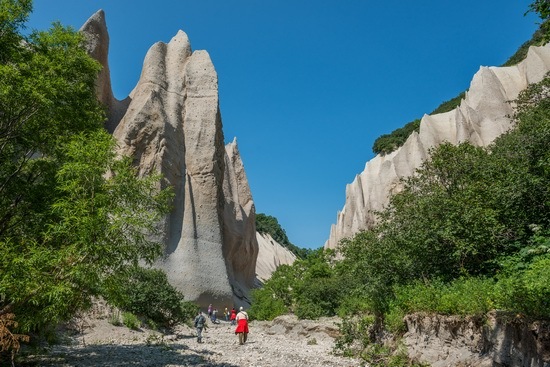 Kuthiny Baty, a bizarre curtain of pumice cliffs, is a unique natural monument located about 4 kilometers from the source of the Ozernaya River (Lake Kurilskoye) in Kamchatka. According to local legend, once, a wise raven Kutkh decided to dry his boats, and that’s why he placed them vertically on the bank of the river. But then he forgot about them, and the boats remained standing there forever.